Views! Acreage! Privacy! Location! With over 11 acres to explore this is a must see for all nature lovers. Enjoy the scenery on the front or side covered porches. Property includes four outbuildings, one with 240 amp service. 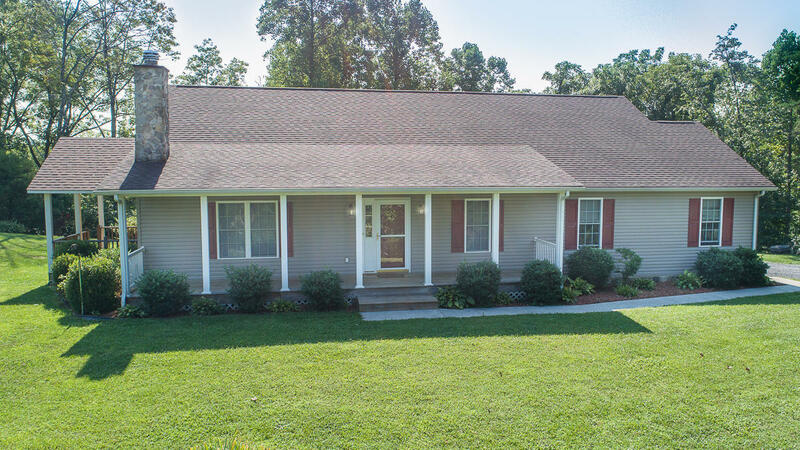 One owner home featuring one level living, an open floor plan, huge pantry, gleaming hardwoods, 2 car garage with large work bench, and much more! 3rd bedroom could be used as an office. Horses permitted.